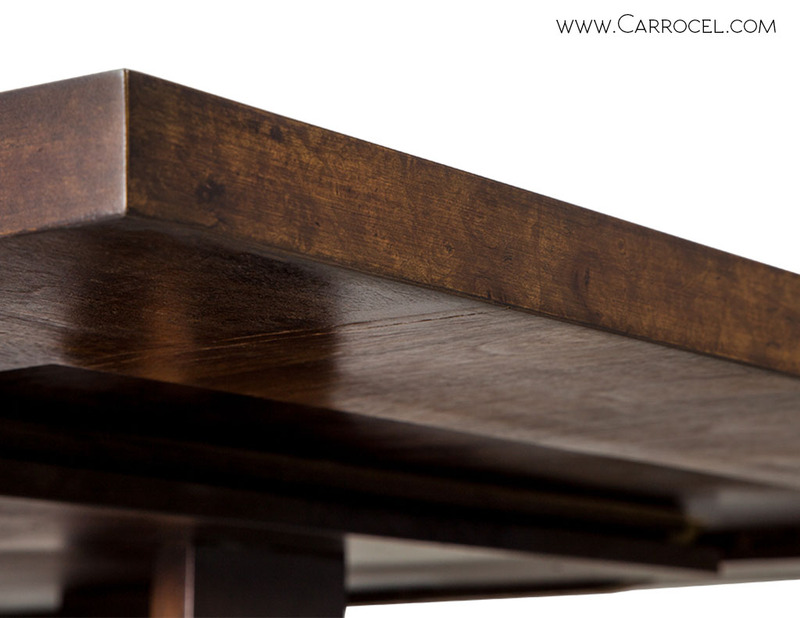 This is a custom table made and finished from scratch by our master craftsmen. 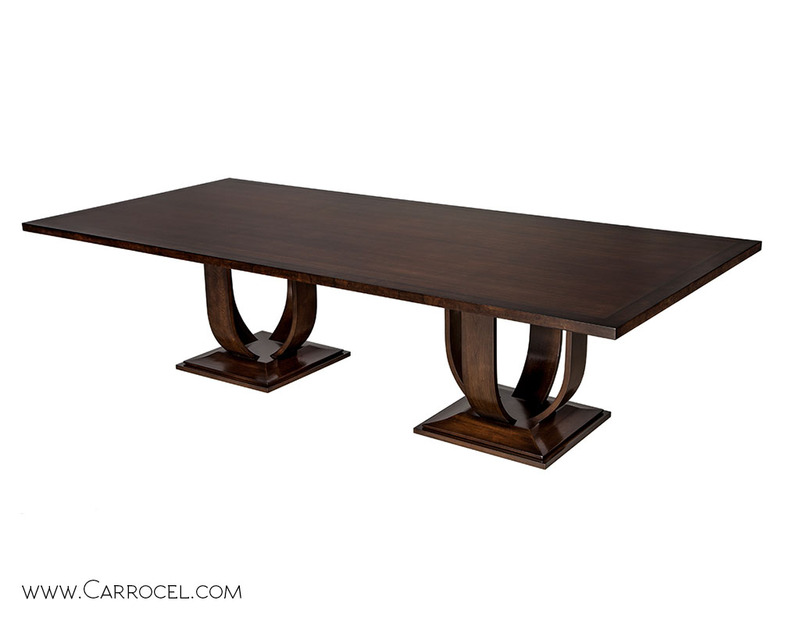 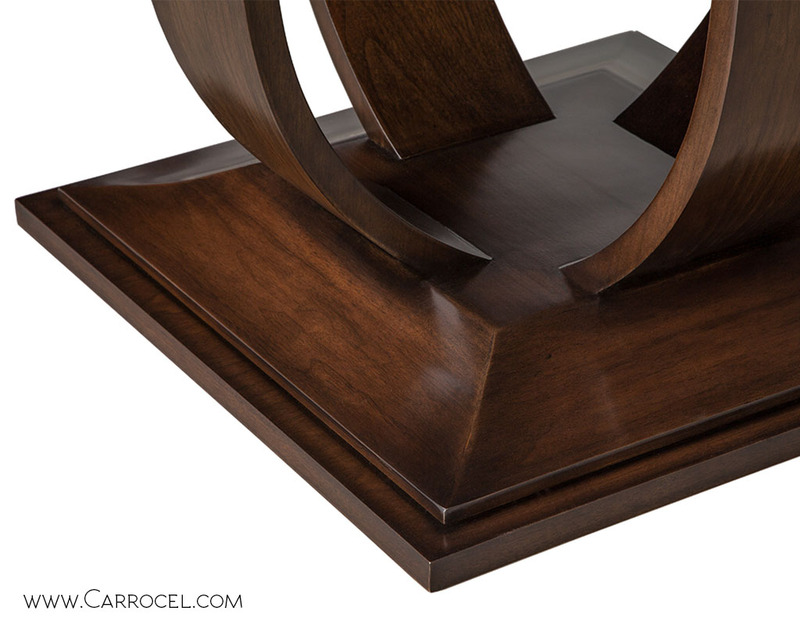 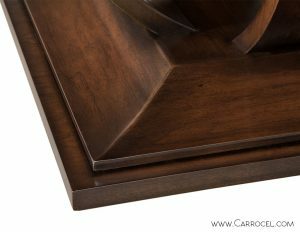 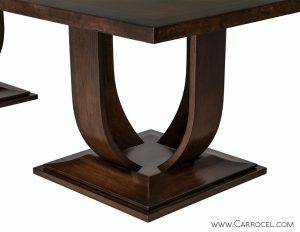 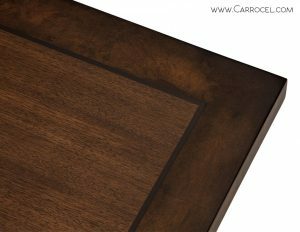 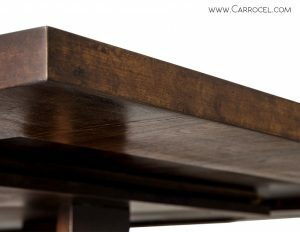 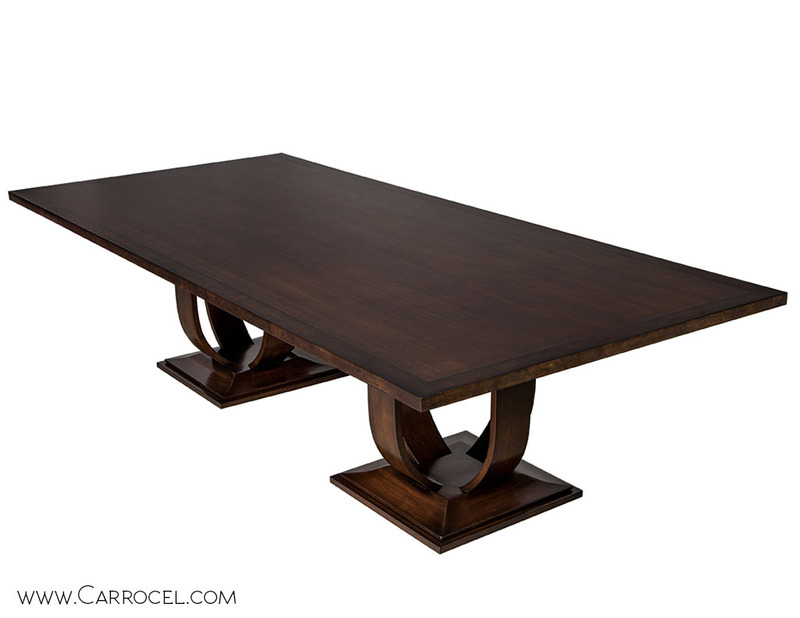 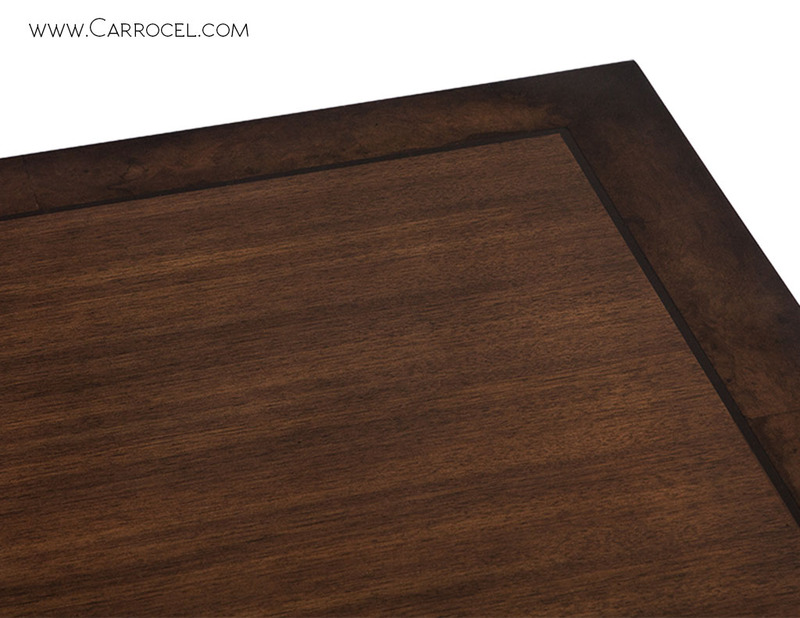 It features an original Deco pedestal design with an absolutely gorgeous table top featuring walnut and burled walnut banding. Displayed as a 1 piece top, this table can be custom made in different dimensions should it be desired.